﻿ McCook House State Memorial Civil War Museum - Ohio. Find It Here. This large brick house is a memorial to the "Fighting McCooks," a nickname given to the family because of their military service during the Civil War. Daniel McCook built this home and his family lived here until 1853. During the Civil War, Daniel's family contributed nine soldiers to the Union cause including 5 generals. Brother John's family contributed 5 officers. Four of Daniel's family including Daniel himself died in the conflict. The restored house has several period rooms and a large room of exhibits on the McCook family and the Civil War. 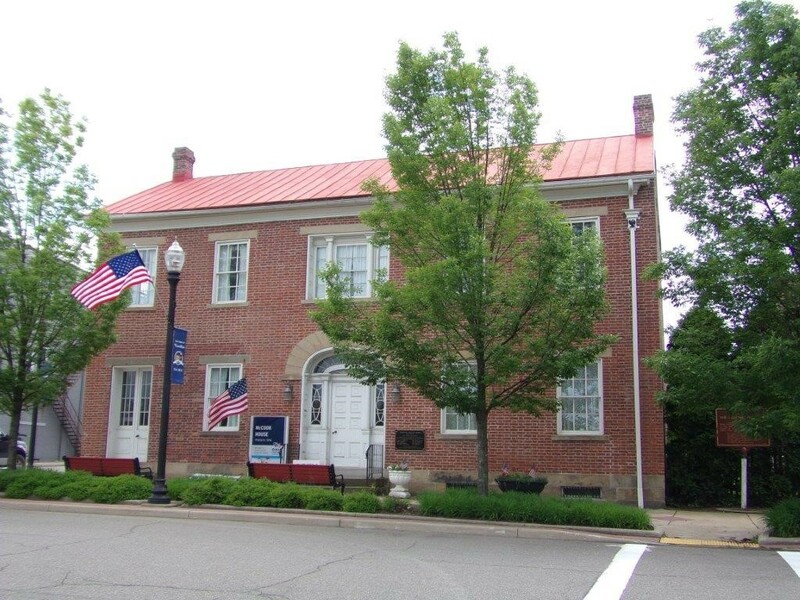 A must-see Ohio historic site during the 150th Anniversary of the Civil War, 2011-2015. Free Parking on Public Square.